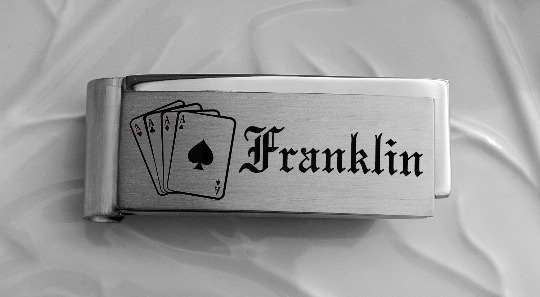 This engraved money clip is considered by many the finest money clip in our collection. 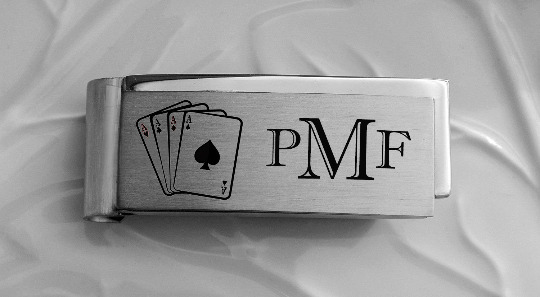 These personalized stainless steel money clips make a great gift for the man in your life. Whether for Wedding Gifts, Father's Day, Graduations or Birthdays, these money clips are stylish and functional gifts. The spring loaded grip keeps your money tight. Gift Box Dimensions: 2.2" x .75" x .4"